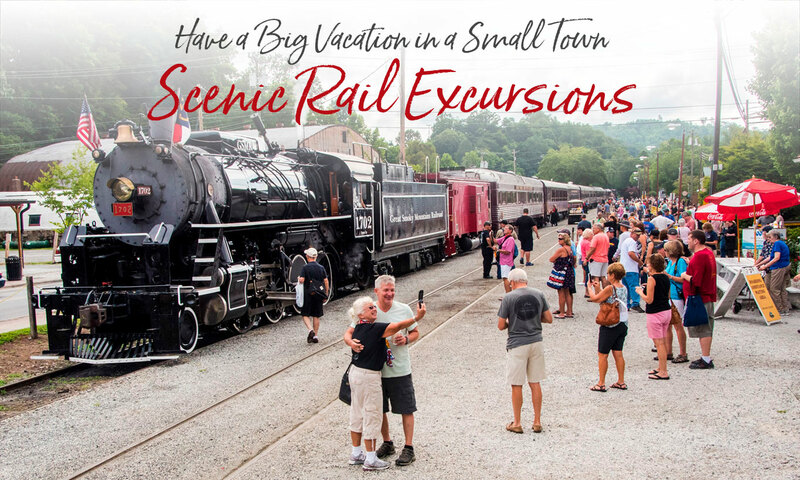 Based in Bryson City, the Great Smoky Mountains Railroad operates scenic rail excursions through our remote corner of North Carolina, traveling through tunnels, across rivers and lakes, through mountain valleys and into a deep river gorge. 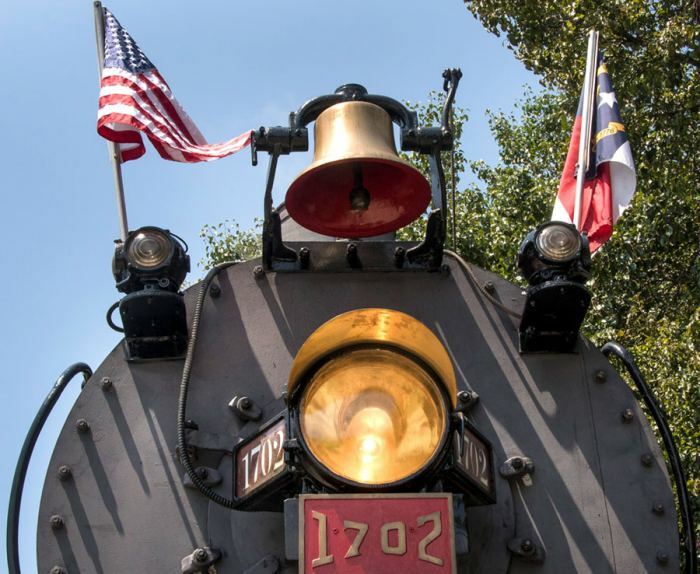 Some rides are with the diesel engine and some are with the newly restored steam engine #1702. When the steam is running you will also have the chance to watch the people-powered engine turntable in action. The steam shed, right next to the turntable, is for servicing and storing the train between excursions. 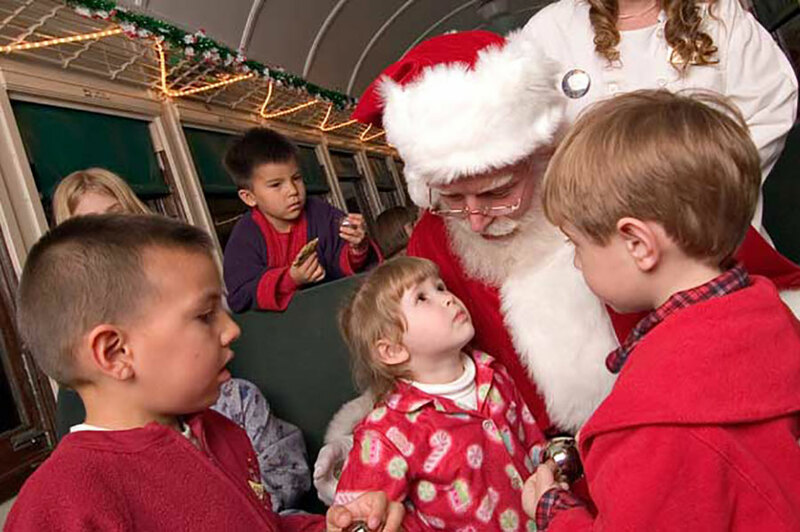 In 2017, more than 88,000 people rode the Polar Express Christmas excursion making it one of the most popular holiday events in the Smokies. In our blog: What’s It Like to Ride The Polar Express? Other family-oriented excursions include two PEANUTS-themed events — the Easter Beagle Express in spring, and the Great Pumpkin Patch Express in October. As well as the July 4 Freedom Train. Special dining events include BBQ & Brews and “Uncorked” wine experience. 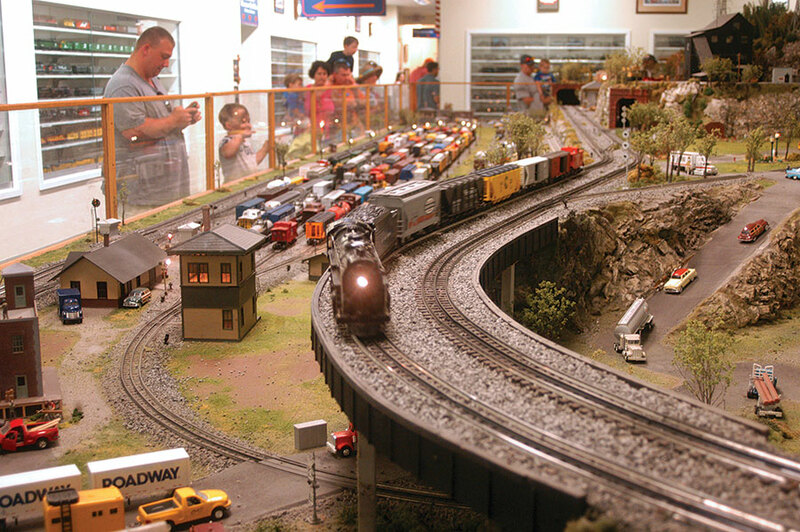 Rail excursion tickets include same-day admission to Smoky Mountains Museum, with its collection of 7,000 Lionel engines, cars and accessories, impressive operating layout and children’s activity center.